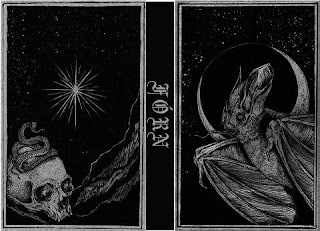 Forn are a band from Boston, Massachusetts that plays a mixture of funeral doom metal and sludge and this is a review of their self released 2013 demo. A slow, dark and heavy sound starts off the ep along with some deep guttural growls and screams which adds death and black metal influences into the bands musical sound and after awhile the heaviness calms down a bit and the music starts evoking a more drone style of a feeling. Most of the riffing sticks to a slow and heavy direction throughout the recording and after awhile dark, melodic and depressing sounding guitar leads find their way onto the ep and the last track is very long and epic in length and has some slow doom metal riffs that bring back the 90's feeling of doom/death metal as well as adding in a small amount of dark sounding melodies. 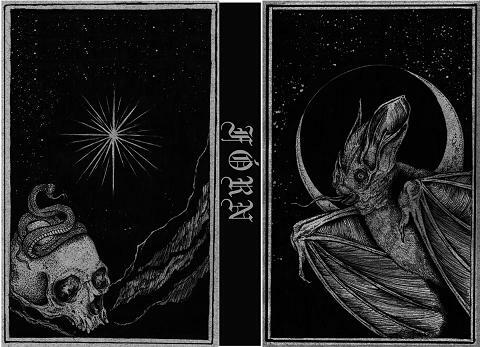 Forn creates a very slow, dark and heavy sound with their mixture of funeral doom and sludge that also has an old school feeling to their sound, the production sounds very dark, raw and heavy while the lyrics cover dark and depressing themes. In my opinion Form are a very great sounding mixture of funeral doom metal and sludge and if you are a fan of those musical genres, you should check out this band. RECOMMENDED TRACK "Dasein". 8 out of 10.